A Taste of the Holidays - Wine and Food Tasting to buy tickets on line. 2018 Spring Wine Tasting Date Announced! The 2018 Clarkston Rotary Spring Wine Tasting date has been set. The event will take place on May 10th beginning at 6:30 pm at Fountains Golf and Banquet in Clarkston. As always, you can get your tickets from any Clarkston Rotarian for $40.00 ($50.00 at the door). The event will feature wines from Michigan Wineries along with a silent auction, 50/50 tickets and great food from Fountains! More information to come. Our guests for the evening were Alese Hardy and our speaker, Michael Gall. Since the wine party, our major fundraiser, is coming up in just 10 days, we heard a lot about the plans and how things are shaping up. We are in pretty good shape for workers. Chad reported on the auction items, and it sounds like we will have some great and varied prizes. 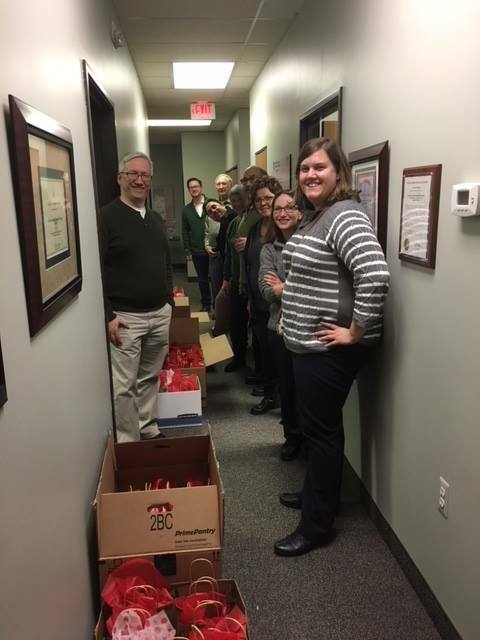 The auction committee will meet again later this week to begin wrapping and organizing the prizes. Al repeated the need for ads to be sold and sent to him ASAP. And of course, all are encouraged to SELL, SELL, SELL tickets. Next week we will take a count of how many are sold and predicted to be sold additionally. The wine and beer are ordered. Next week's meeting will be devoted to finalizing plans, so hopefully will be in attendance for the final push. Our speaker for the evening was Michael Gall, Peace Corps volunteer who told us of his experience in Micronesia. He was on the island of Ta, which means "small island," one of hundreds of islands making up Micronesia. It really is a small island measuring about 200 yards by 4 miles. He explained his role there as a teacher of English, but what the islanders really wanted was a basketball court, so he arranged to build that along with other school improvements. When his two -year stint was up, he hadn't quite finished the project, but the islanders were so motivated and equipped by this time that they were able to finish the project after he left. Michael is currently a Peace Corp recruiter whose job it is to raise awareness of the Peace Corp. He certainly did that well tonight! AND he won the 50-50 raffle for the evening. Great job, Michael. The Foundation Drawing yielded two winners, Jeff Reddy and Al Avery , who finally isn't drawn last! The club has enjoyed its 76 years of sponsorship and operating the parade. 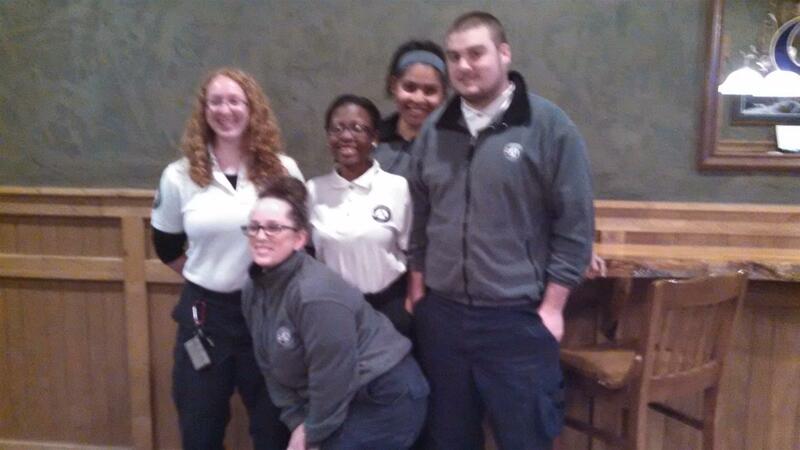 The club has decided to focus our efforts on the multiple projects and services we provide in and around Clarkston. If another group or organization is interested in taking over the Labor Day Parade sponsorship and running it in the future please contact the Clarkston Rotary. We would be more than happy to assist them with the transition and organizing. We look forward to our continued support for Clarkson and its citizens and want to thank each and everyone who have contributed their time and efforts throughout the years with the Labor Day Parade. Visit us tonight, June 24th at Depot Park for "concerts in the Park" make a donation and get dinner!!! All proceeds go towards our club service projects. For many years the Clarkston Rotary has ushered in the fall with its annual Labor Day Parade downtown. This year was no exception. Bands! Classic cars! 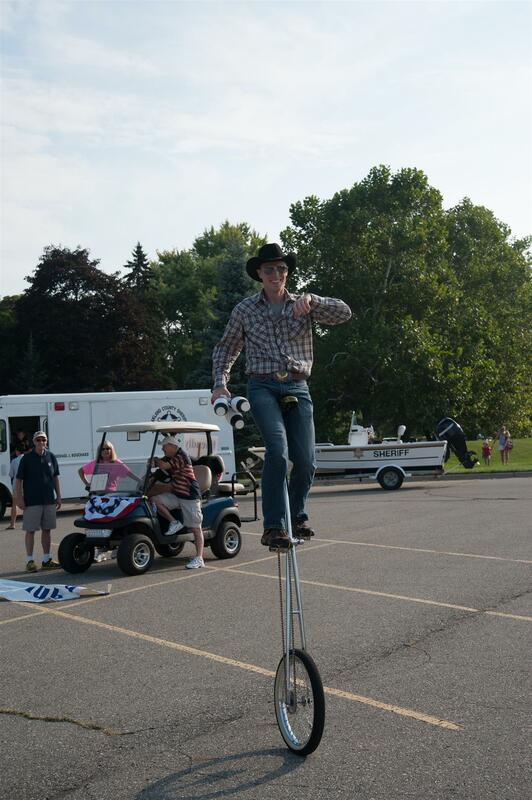 Even a juggling unicyclist! And beautiful weather as a bonus. What a day. 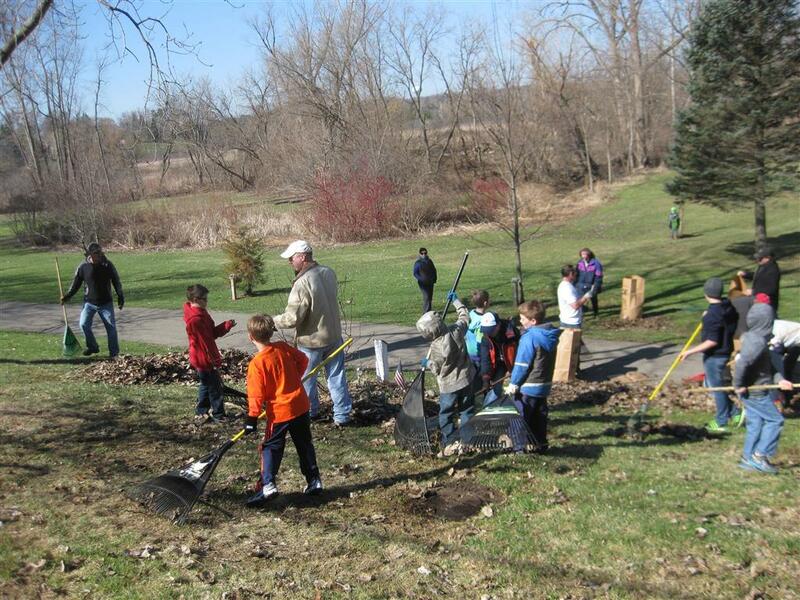 Depot Park in Clarkston was a beehive of activity on Saturday as Cub Scout Pack #499 buzzed around the park raking and filling bags of leaves and twigs. Supported by their parents and Clarkston Rotarians the park was officially declared ready for spring and summer park activities. A record 84 bags were filled eclipsing last year's count of 76 bags. This is the 6th year for the activity and is greatly welcomed and appreciated by the City of the Village of Clarkston. 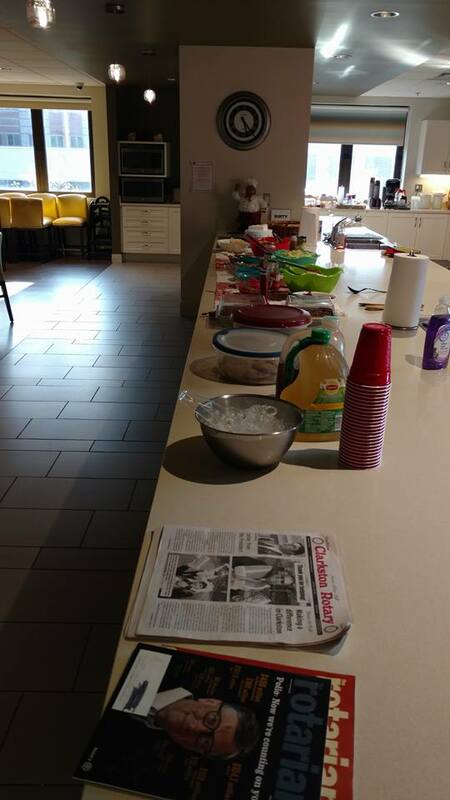 For their efforts the Cub Scouts were treated to pizza, pop and candy after the cleanup. A JOB WELL DONE !!! Tonight’s speaker was Joe Gorz, a Clarkston High School Graduate and a graduate from Michigan State University College of Ostheopathic Medicine in 2013. He spoke to us about the Peru Osteopathic Health Initiative. Joe is one of 32 MSU students working on this program. 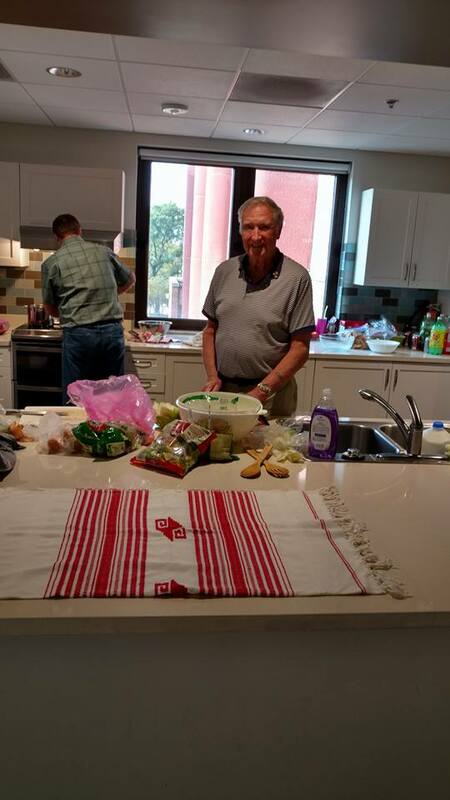 Joe is working with the Traverse City Rotary as they are seeking matching funds to be used for medicines and supplies for the underserved patients in Peru. Pictured Jeff Lichty and Joe Gorz. Welcome John Ransom! 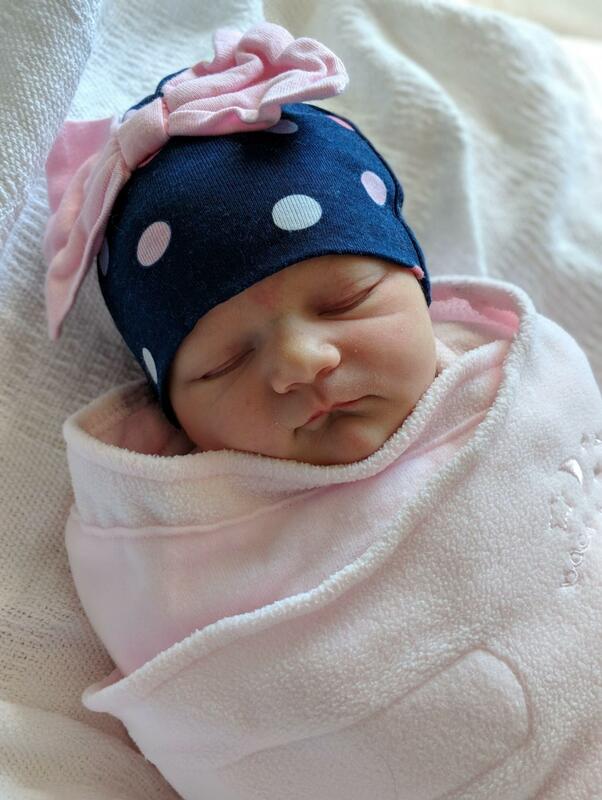 On March 31, Clarkston Rotary welcomed a new member to the club. 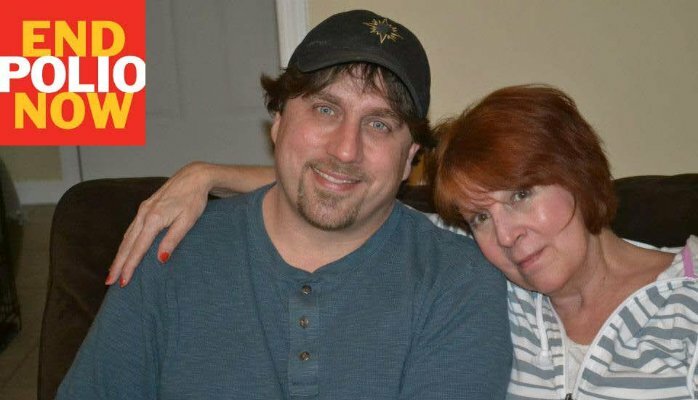 John Ransom was previously a member of the Fenton and Birmingham Rotary clubs. He works for Fifth Third Bank. We're happy to have him aboard. Pictured from left are Al Avery, John Ransom, John Halleran and President Janet Thomas. Tonight’s speaker was Jim Tedder, recently elected Michigan House Representative. He spoke to us about what it’s like to be a freshman legislator. He showed us a sample schedule of his week, both for his days in his District and his Lansing days. He serves on the Education Committee, the committee for Workforce and Talent Development, as well as committees for Communication and Technology and Health policy. He gave us a lot of background, non-political information like the swearing in ceremony, how his seat location was determined and how he was assigned his parking spot. He described his special appointment to the Committee on Committees, one of 5 commissioners on the Midwest Higher Education Compact. We learned a lot about things we don’t think much about, and we are very anxious to have him talk to us again in a few months as he becomes more familiar with his new position. Outbound Rotary Youth Exchange Student Miranda Moore left on Sunday, August 26, for her year abroad. She will be studying in St Maixent L'Ecole, France, where she will be hosted by the St Maixent l'Ecole Rotary club and live with three different host families. The Clarkston Club has gotten to know her very well as she has attended the meetings ever since she applied to go. She's excited about the adventure and promises to keep in touch frequently. The day before she left she wrote," I have been excited since the day I was accepted into the program, and I am so thankful to have an opportunity like this. It is finally starting to sink in that I really am doing this, and it seems a little crazy. But I really am just too excited to be feeling anything else and I can not wait to arrive in France!" We're anxious to follow her on her year abroad! Celebrating 20 years of Rotary in Ukraine from Rotary International on Vimeo. Twenty years ago, six clubs (three in the U.S., two in Canada and one in Scotland) helped charter the Rotary Club of Kiev, the first in Ukraine. 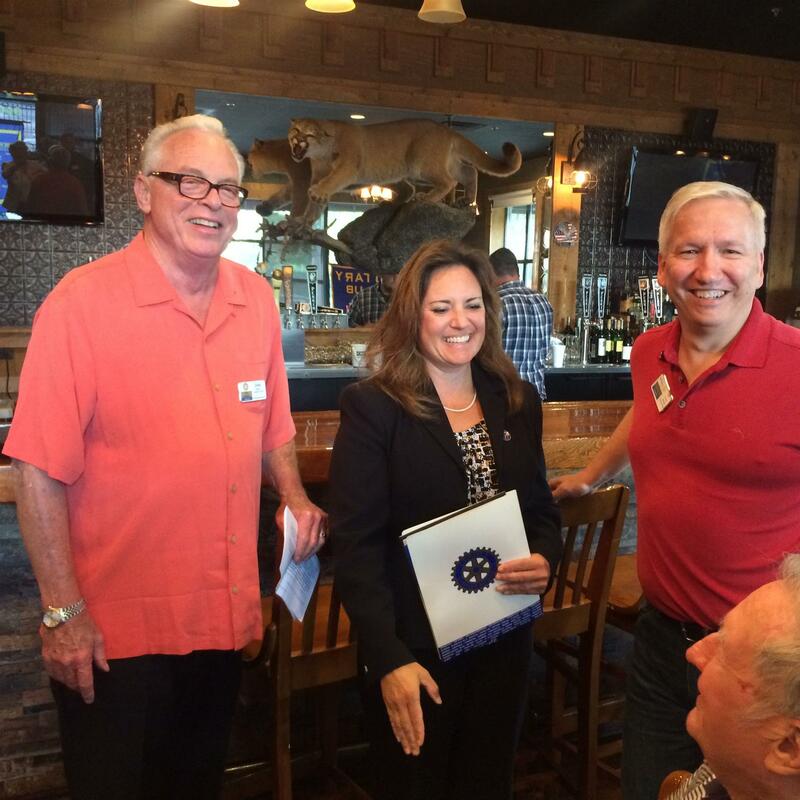 The Clarkston Rotary club, under the leadership of Lu Hewko, was instrumental in its founding. Now the country has more than 40 clubs and many Rotaractors. At a recent event, Rotarians instrumental in bringing Rotary to Ukraine celebrated. Clarkston Rotarian Lu was among the revelers. Opportunity for high school students to study overseas for a year. If you would like the opportunity to spend an academic year learning another language and culture under the auspices of Rotary, contact Jeff lichty at jlichty11@earthlink.net or 248-625-4244. Read what one student had to say. It may have been 40 degrees, windy and snowing, but it didn't stop Clarkston Rotary members and Cub Scout pack 499 scouts and parents from cleaning up Depot Park. Dave Boersma, Cub Scout den leader and Clarkston Rotarian, arranged for the collaboration, and due to the combined efforts, the park looks great and can be enjoyed now that spring finally arrived! The Clarkston Rotary has recently funded two Shelter Boxes and they arrived in Haiti this earlier month. Each Shelter Box contains a tent, sleeping bags and cooking equipment to provide shelter and feed a family of ten. 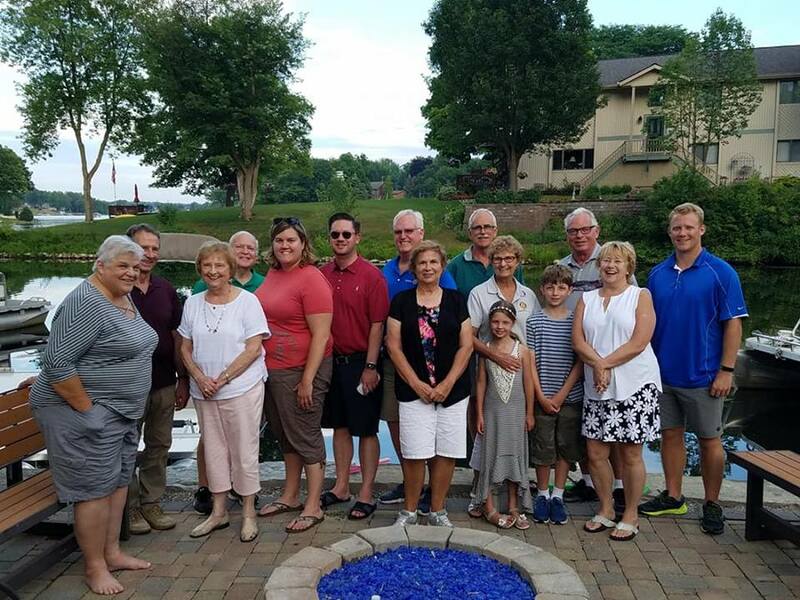 Clarkston Rotary welcomed its new president, Brad Evans, at a festive affair at beautiful Shepherd's Hollow Golf Course. Outgoing president, Jason Webster, pinned the president's pin onto Brad's lapel. If you have, or want to have, leadership abilities, this may be an opportunity you don't want to pass up. 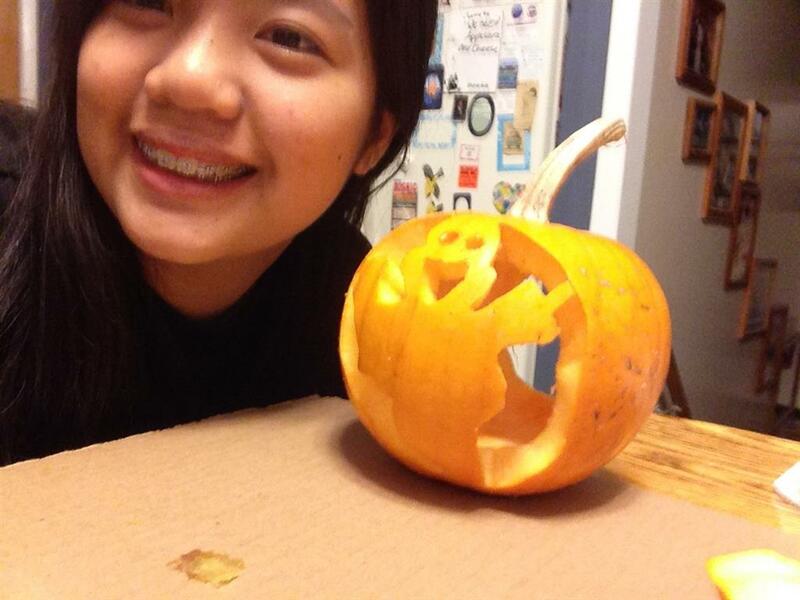 Our inbound youth exchange student from the Philippines had her first pumpkin carving experience. She and her host mother shared this" mother-daughter first." Joy reported that it was great fun and she was about to start on her second pumpkin. 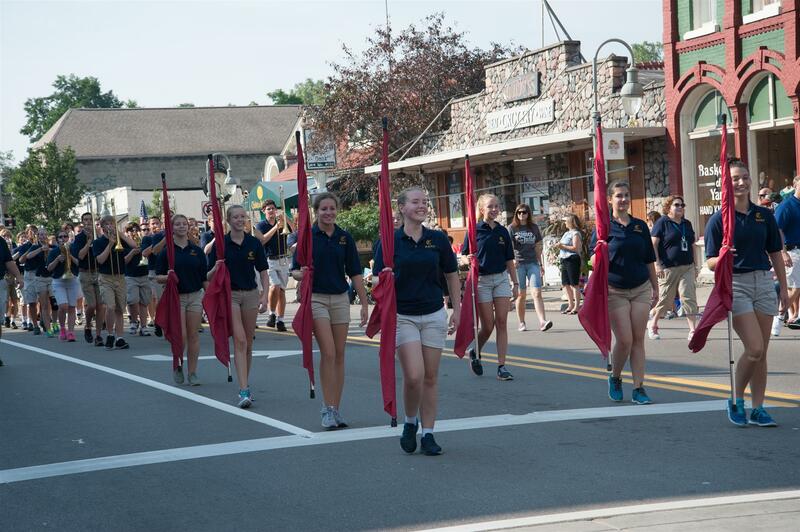 A Community Thank You for supporting the recent Clarkston Labor Day Parade !! 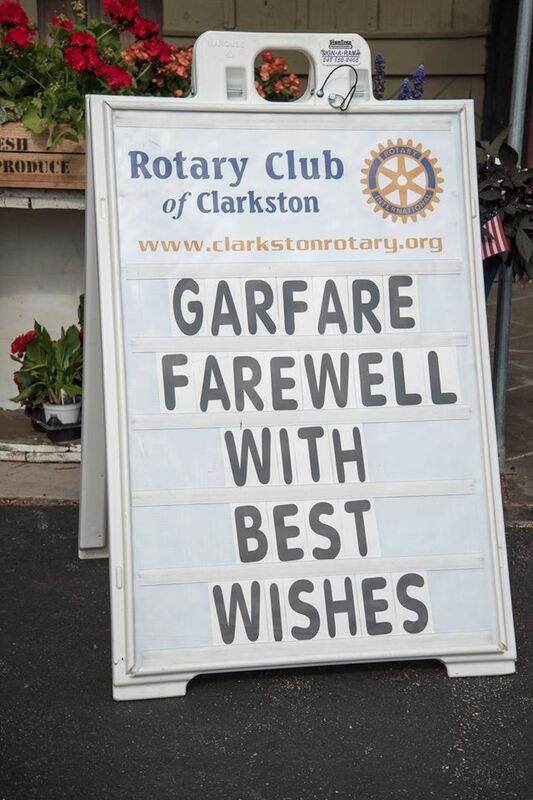 The Clarkston Rotary Club sponsors of the Clarkston Labor Day Parade for the past 72 years was very thankful for the weather cooperating during the parade and for those participants that join us in an annual fun-filled community event. The traditional end of summer parade consisting of floats, classic cars, community service organizations, musical groups, local businesses, political candidates, and families seemed to be enjoyed by all. If you are interested joining in the fun of being in next year's Clarkston Rotary Labor Day Parade on Tuesday, September 1, 2015 please be sure to look for the entry application on the clarkstonrotary.org web site (under downloads) or by contacting Clarkston Rotarian, Joel DeLong at joeldelong@aol.com or 248-625-9741. I want to thank you again for all your support of ShelterBox. I am attaching a link to an 8 minute update of the good work your donations did in 2013. Please feel free to contact me with any questions or requests. Please continue to keep ShelterBox in mind as you watch the news and see how people are suffering from conflict and natural disasters in the world. If you weren't at the Clarkston Rotary Fall Wine Tasting Fundraiser, you missed a great evening. 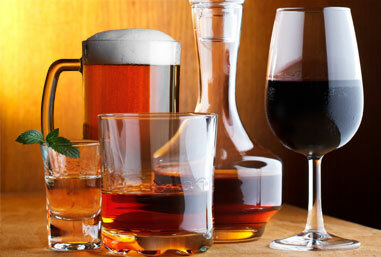 Ten wine tables, two beer tables and 15 restaurants provided plenty of tasting and feasting. Planning has already started for next year's party. If you came this year, we're hoping you'll come again. If you didn't, plan on it for next fall. District Governor visit at the Clark house. 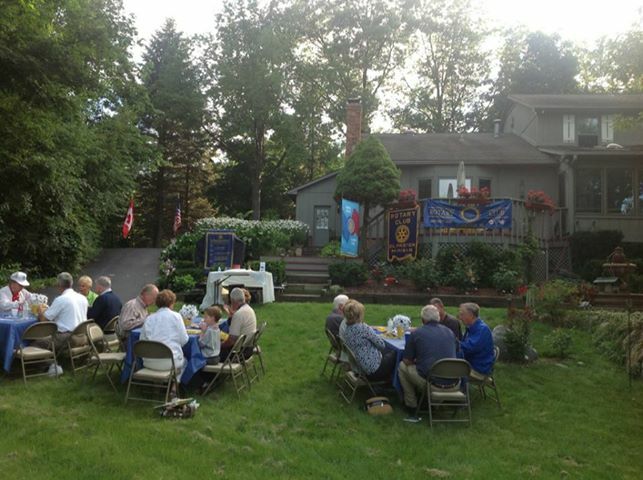 The Clarkston Rotary Club often takes advantage of the warm summer evenings to hold the meeting at the home of one of our members. A meeting in July was no exception. The district Governor was the speaker, and the club met at the home of immediate past president Bart Clark. Read on to hear the governor's impression of the Clarkston club. Last Monday’s downpour couldn’t dampen the spirit of SCAMP goers and their families as they enjoyed the annual picnic put on by the Clarkston Rotary Club. 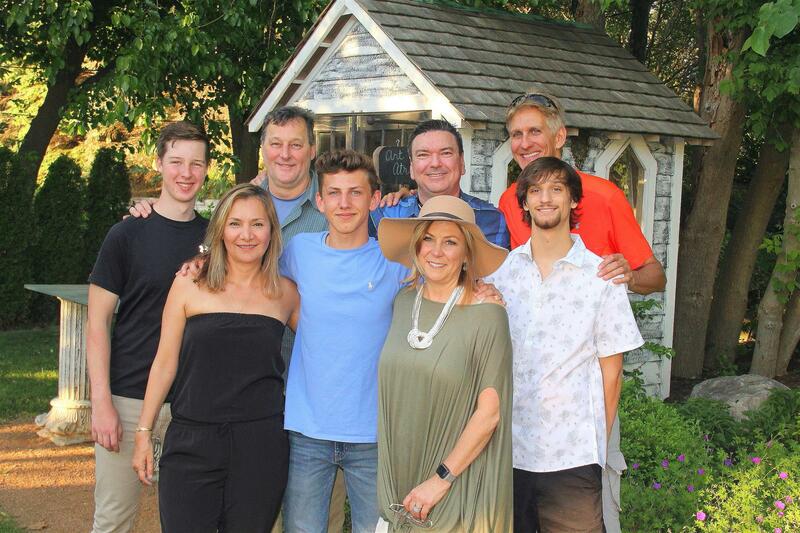 For years, the first event of the new Rotary year, which begins July 1, has been providing an evening picnic at Independence Oaks Twin Chimneys. 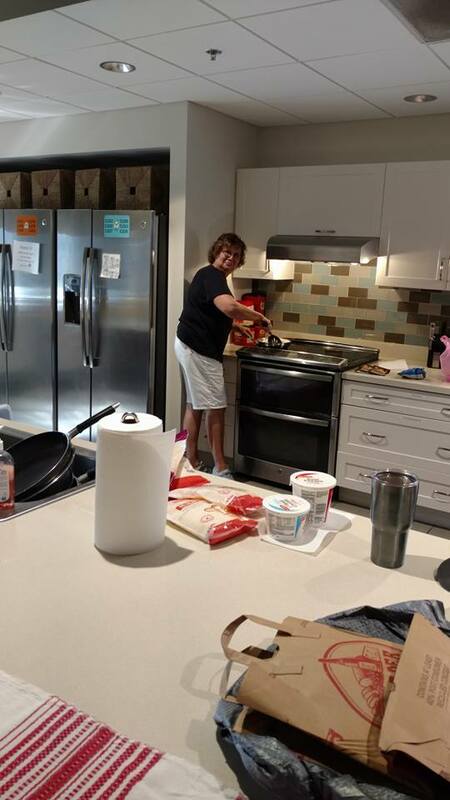 Along with the hot dogs, potato salad, coleslaw, watermelon, and cookies, the students and their families were treated to the antics of Bingo the Clown, a face painter, and music by The Men Of Grace. 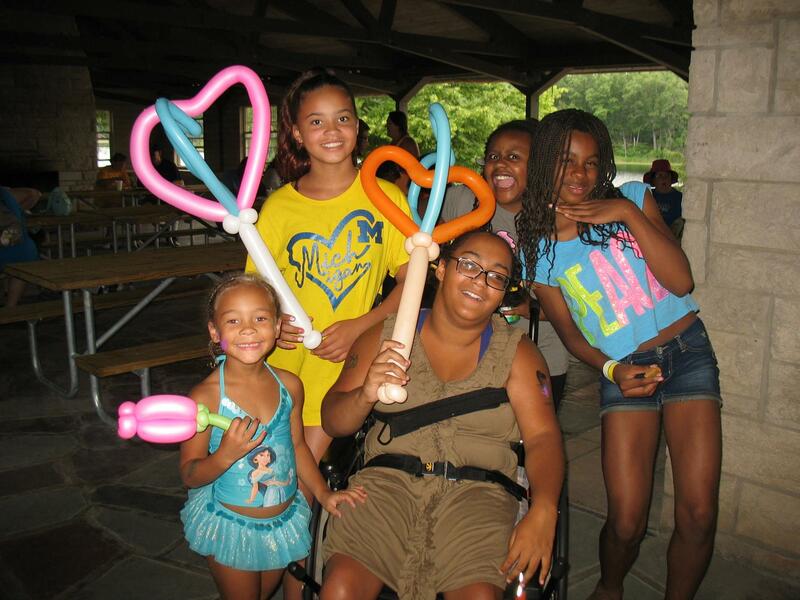 “It’s a chance for the families to get to know the other SCAMP goers and their families. We really look forward to it,” one mother said of the picnic. It’s a favorite of the Clarkston Rotary members, too. 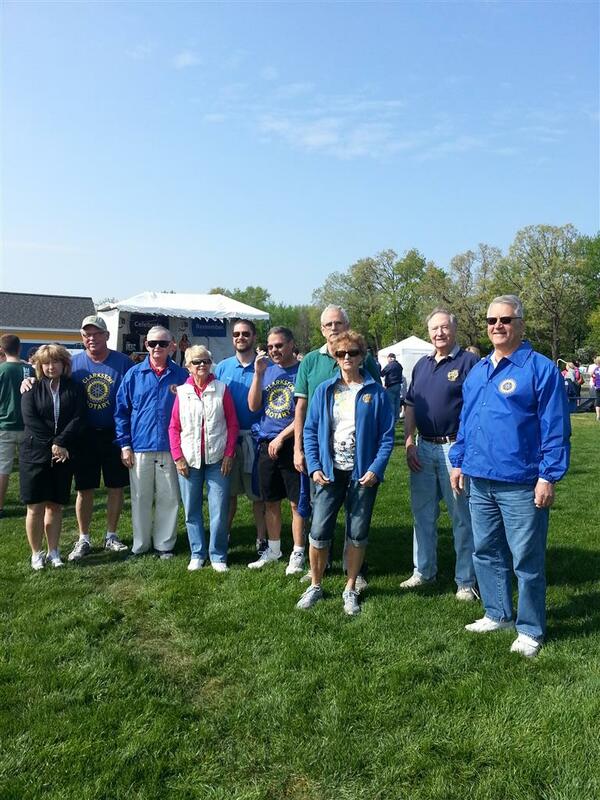 Clarkston Rotarians and partners participated in Clarkston's Relay for Life May 18-19 at Clarkston Junior High School. 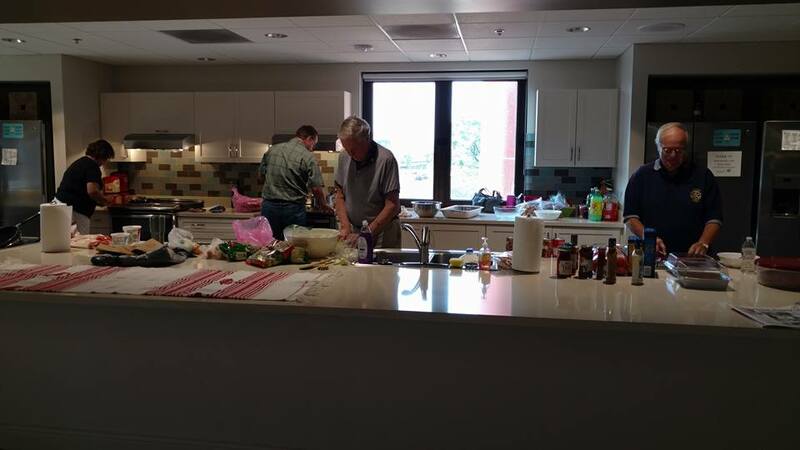 Two day event raised $74.463.94 in the fight to end that dreaded disease, cancer. 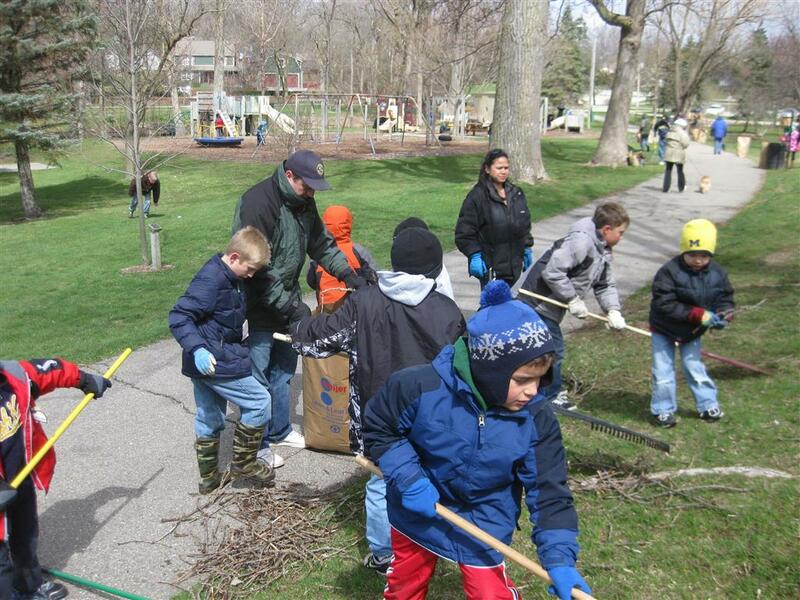 Saturday, April 20, didn't feel like spring, but that didn't stop Cub Scouts from Pine Knob Elementary Pack 499, their parents and Clarkston Rotary members from getting Depot Park ready for the warm weather . 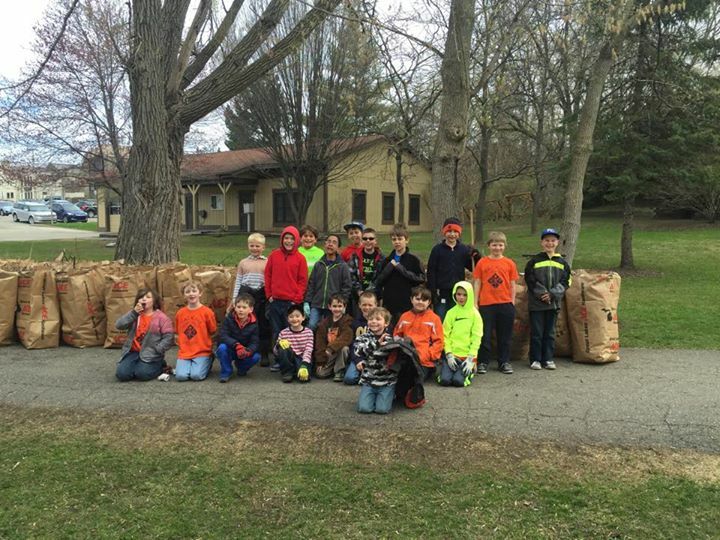 Rotarian and Pack 499 parent Dave Boersma organized the "4th Annual Depot Park Cleanup" as an effort for the scouts to work together with their Charting Organization on one of their mutual interests of "Community Service". The Cub Scouts brought their families to rake and then bag the twigs, leaves and debris that had gathered over the winter. It wasn't all work though - all shared in a morning hot choloate break followed by pizza and soda for lunch. The park looks great and is ready for us all to enjoy. We knew the warm weather couldn't be too far away! Clarkston Rotarian Jeff Lichty was honored with Rotary International's highest recognition, the Service Above Self award. As Rotary’s highest honor for individual Rotarians, this award recognizes up to 150 Rotarians annually, worldwide, who have demonstrated exemplary humanitarian service, with an emphasis on personal volunteer efforts and active involvement in helping others through Rotary. 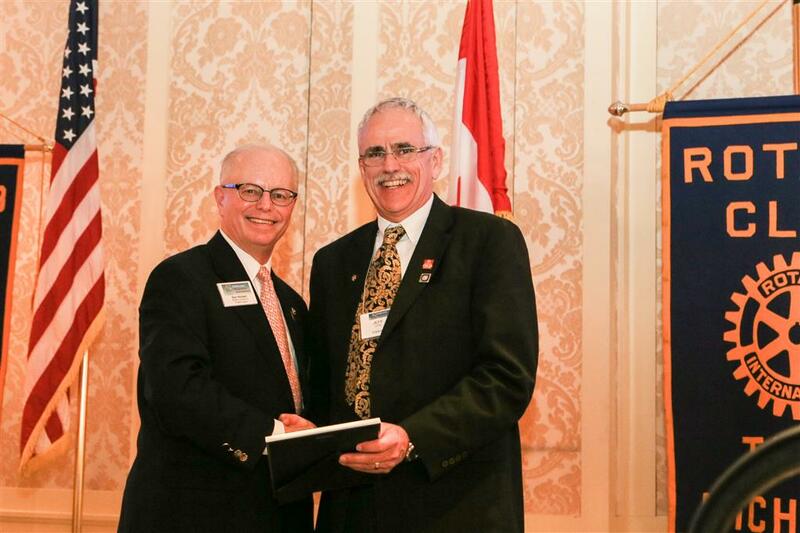 Jeff has held multiple Rotary offices at the club, District and Zone levels. 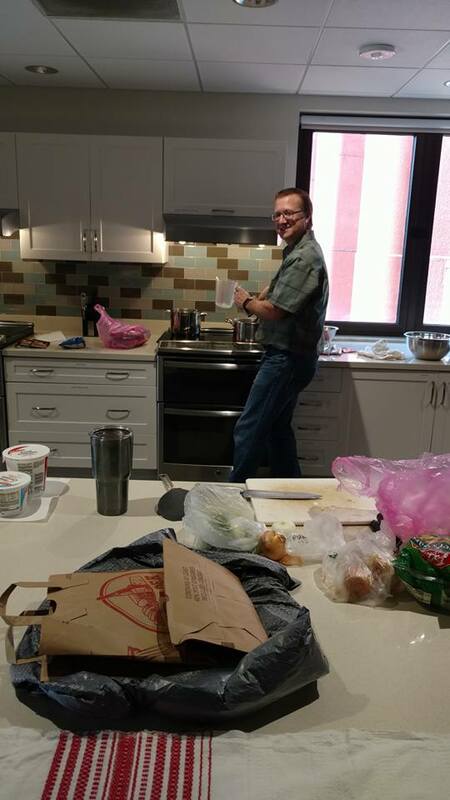 He has practiced humanitarian service by participating in National Polio Immunization Days in India, on eyeglass medical missions to Grenada and Peru and by visiting a Rotary-USAID water and sanitation project in Ghana, West Africa, in order to help raises funds to complete the collaboration project. Congratulations Jeff! We already knew you live Rotary, and now Rotary International has said it knows it too. 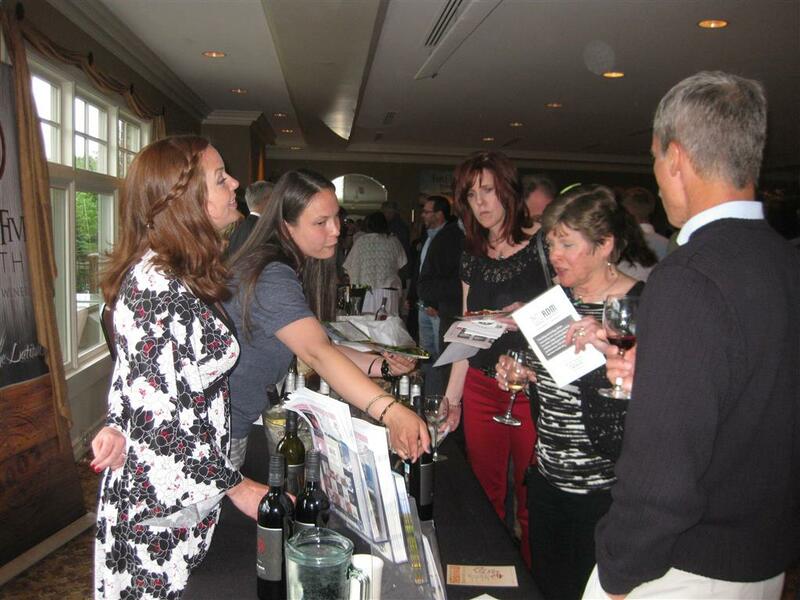 Clarkston Rotary held it's annual spring wine party on May 23. 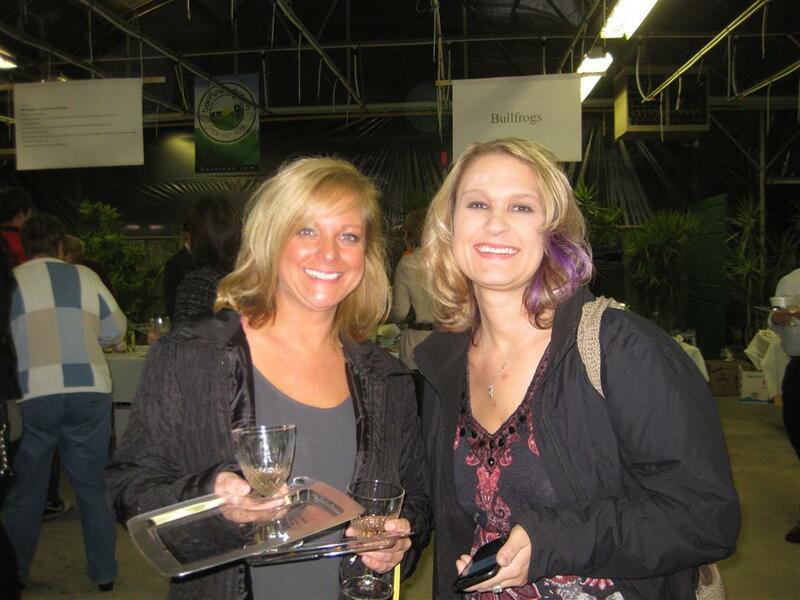 The crowd enjoyed tasting Michigan wines, hot and cold hors d'oeuvres, and bidding on raffle items. The proceeds will go to our local and international projects. A good time was had by all! Clarkston High School’s robotics team, Team RUSH (Respect Unity Spirit Heart), unveiled its latest robot at the 2013 Team RUSH Open House, held on Monday, February 18 at 6:00 PM at the Clarkston High School, in the CSMTech (Clarkston Science, Math and Technology) Academy. Joe Liu, our Youth Exchange student from Taiwan, is a part of the team. In the photo he is shown on the right working on the robot with fellow team members (from left) Jason Markesino, Andrew McLatcher, Kristijian Dodik. Since its initial charter in 1940, the Clarkston Rotary Club has been actively involved in downtown Clarkston’s Christmas decorations. Initially, it was the lighting of a single pine tree in front of what was then its township hall. Over time it progressed to the business area on Main Street with the lighting and decorating of an even larger tree on the corner. Over the years, the decorations on the lampposts have been updated several times. Beginning in 2011, the Clarkston Rotary undertook a three year visionary program, “Illuminate Clarkston’s Downtown for the Holiday’s”. Working with Bronner’s of Frankenmuth, it was envisioned that LED Snowflake decorations with lighted garlands would be used to decorate each of the 34 lampposts along Main St. 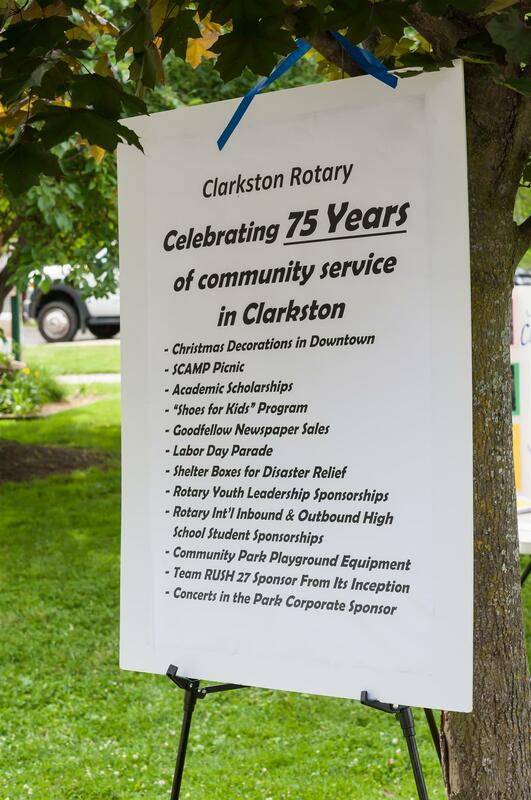 In November 2013, Clarkston’s downtown will be entirely decorated with snowflakes and in 2014 the Clarkston Rotary will be able to celebrate 75 years of community service. The donations collected from the two days on the streets, as well as donations from the Clarkston Women’s Club, has helped 425 Clarkston schoolchildren this year. 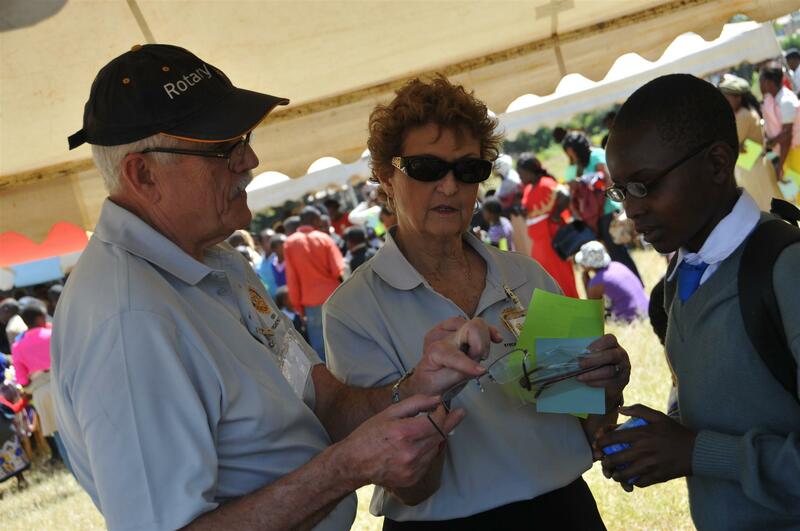 We at Rotary are thankful for the groups involved. 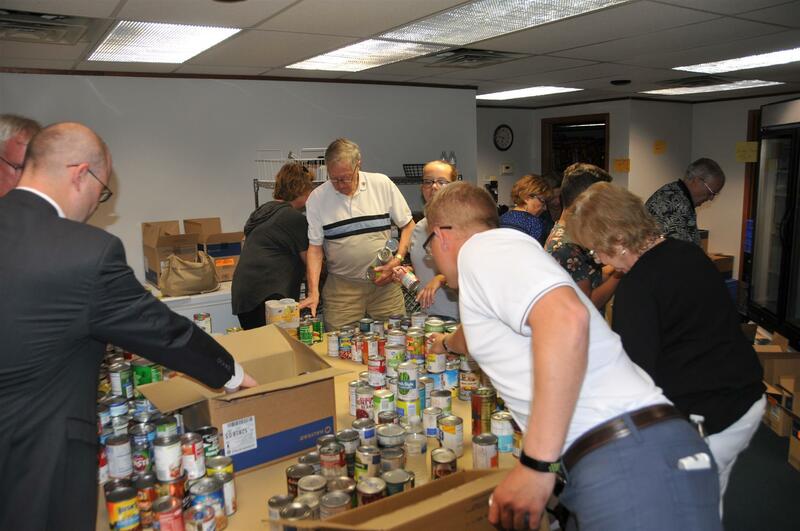 Oakland Woods Baptist Church provides support and use of their church on the day of the distribution. The Clarkston Lions provide Project Kidsight, a free pre-school eye examination. 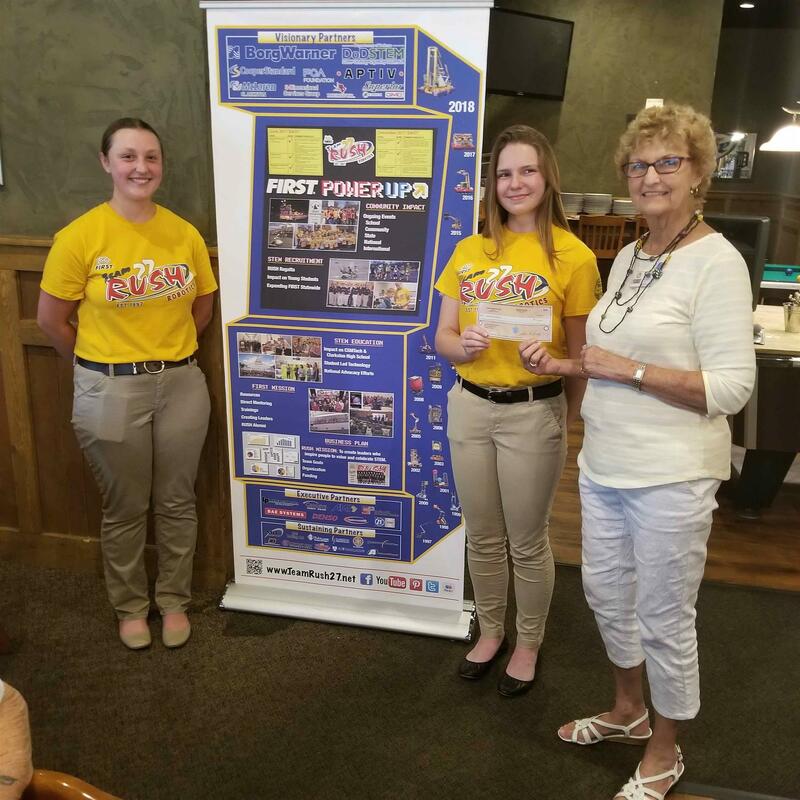 The Clarkston Area Optimist Club have joined with their Opti-Socks program. — Boy Scout troop No. 199 helped with the sale of papers. Clarkston schools and local churches support the program by collecting new hat and glove donations. Walking to End Polio, NOW! 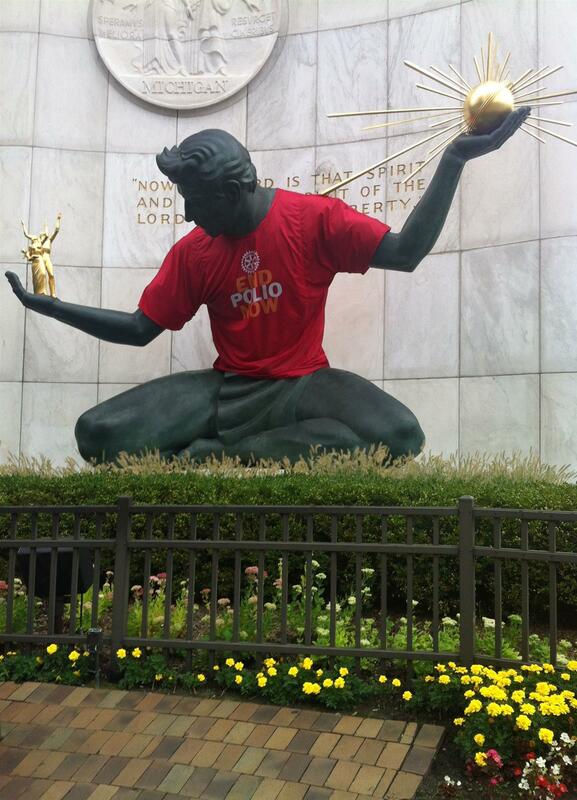 As we've heard many times, Rotary's main focus is to eliminate polio worldwide. Since 1979 Rotary has been trying to accomplish this feat. In Vancouver, British Columbia iOctober, Mary Sloan and Jeff Lichty joined other Rotarians from Canada and the Eastern US on a walk to call attention to our efforts. 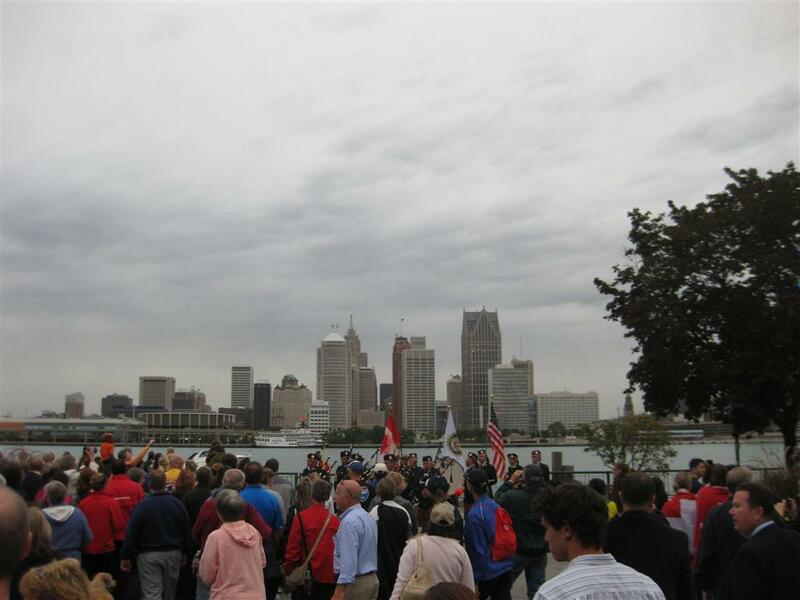 On the evening of September 21, some Clarkston Rotarians took part in a 5K twilight river front Walk for Peace along the Detroit River in Windsor, Ontario, Canada. The event, held to coincide with the United Nations World Peace Day, was designed to spread the word about world peace. “The walk was designed to attract attention from regional and international media and to assist Rotary in enhancing its reputation as a world leader in the furtherance of world peace and conflict resolution.,” explained Joyce Jones, Windsor Rotary president and event organizer . Rotary International Past President Ray Klinginsmith and Rotary Foundation Chairman Wilf Wilkenson were among the honored guests. After the walk, the walkers attended a barbecue and a Peace concert featuring local artists including Jody Raffoul, Maria Connel and The Music Express. As many in the community may recall, Windsor was also the site of the successful 2008 Rotary World Peace Summit. This event is being hosted by the Rotary Club of Windsor-Roseland in conjunction with District 6400 and District 6380. Twelve of this year's newly-arrived Rotary Youth Exchange students got together for the first time for their inbound orientation on Saturday, Sept 8 and 9. It's so energizing to be around these young people. Some have English that is better than others', some are nervous, but all are excited to be here and are looking forward to an exciting year learning our culture and sharing theirs. Hopefully, you'll all get a chance to spend some time with them. We all will meet them at the District Conference in April. Welcome to the USA! Again, Clarkston Rotary entertained the community with it's Labor Day parade. The effects of Hurricane Isaac held off, and the weather was perfect for an "end of summer" celebration in downtown Clarkston. Thanks Rotary for another wonderful parade! 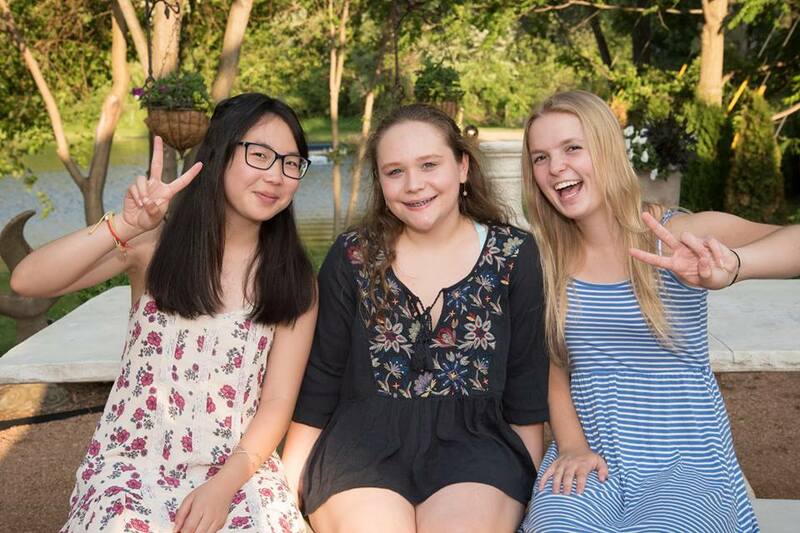 On July 16, the Clarkston Rotary Club again entertained students and their families from Clarkston SCAMP at a cookout and picnic at Independence Oaks. 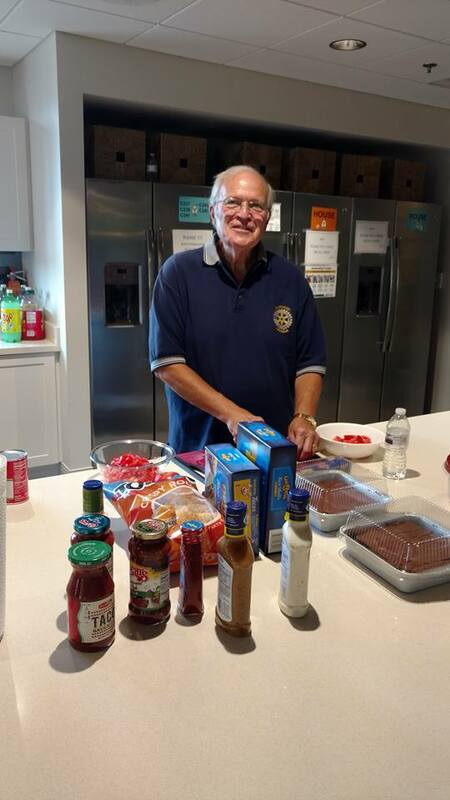 The Rotarians cooked the hot dogs and set out the potato salad, coleslaw and watermelon, while the students and their families enjoyed the bouncing house, face painter and Bingo the clown. This year The Men of Grace from Pontiac’s Grace Centers of Hope entertained the crowd during dinner. The SCAMP picnic is always the first Rotary activity of the Rotary year, which begins on July 1. It’s a favorite for all involved. 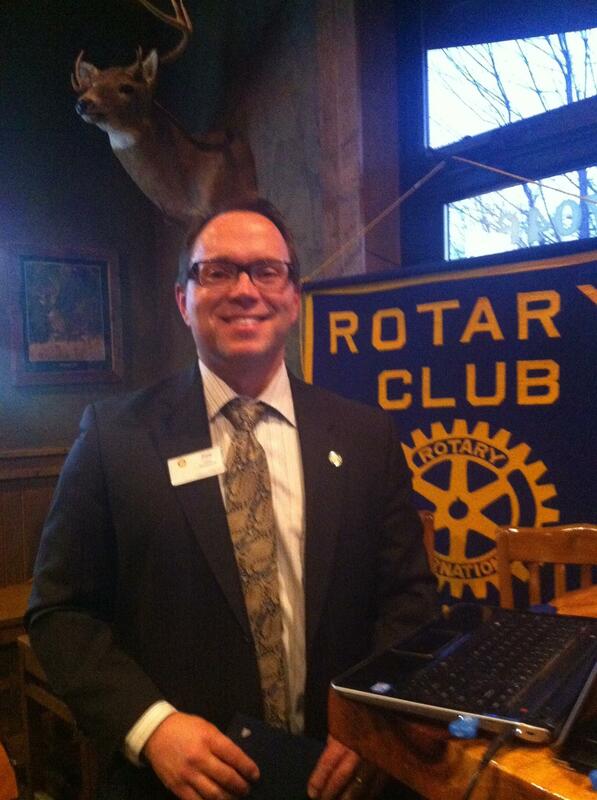 On July first, 2012, Bart Clark will take over the reins of Clarkston Rotary president for the 2012-2013 Rotary year. Rotary changes all of its officers, including the Rotary International president, on July first, and they each serve for one year. Here Bart is given the President’s pin by outgoing president, Al Avery. 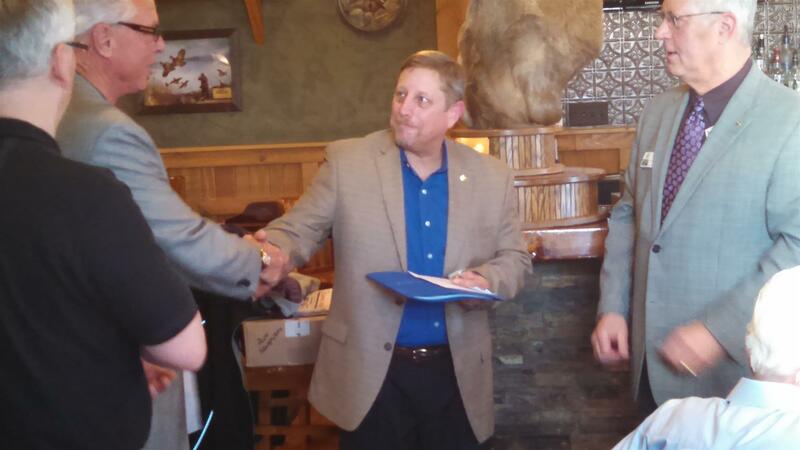 Bart, in turn, gives Al, a past president’s pin during the formal induction dinner held this year at Mesquite Creek. The new board of Directors is made up of Frank Rivers, Janet Thomas, Rick Miller, Mary Sloan, Al Avery, Harold Sutherland, Lisa Troschinetz, Joel DeLong and Bart Clark. 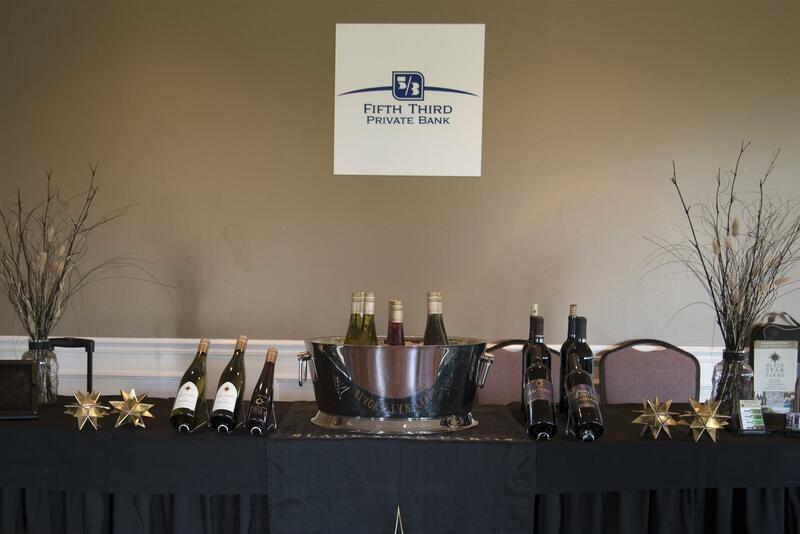 On November first, the club held its annual fall wine tasting fund raiser. The event is a favorite in the community and helps us do all we do for our neighbors around the corner and around the world. Thank You Clarkston for your support! 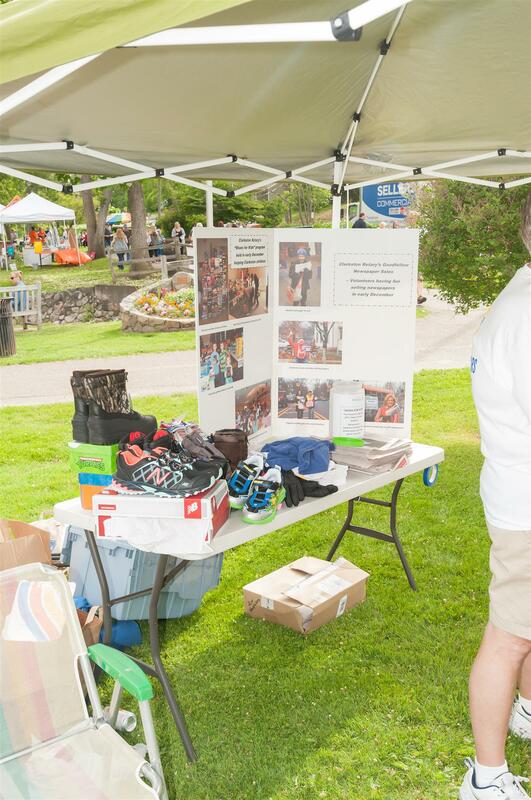 On June 29, the Clarkston Rotary was a host at the Concerts in the Park. While Clarkston Rotarians served food and water, donated by Qdoba and Culligan, concert goers enjoyed music by the local group Solid Rockers and the main band, Bugs Beddow. 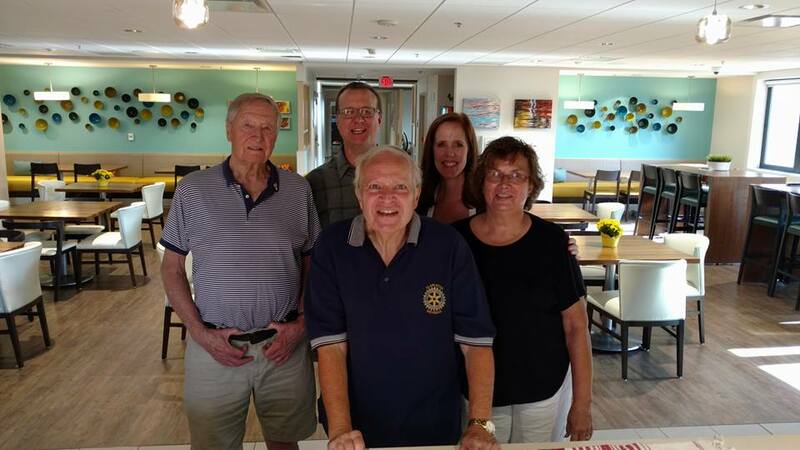 Led by President Al Avery, Clarkston Rotarians joined Rotarians around the world in celebrating their successful efforts to raise $200 million dollars in order to meet the Bill and Melinda Gates challenge of eliminating polio worldwide. Rotary International began planning in the early 1980’s for one of the most ambitious humanitarian programs ever undertaken by a private entity. In 1985, it launched PolioPlus, a multimillion dollar initiative to immunize all the world’s children against polio. Rotary’s commitment was so great that the World Health Assembly resolved in 1988 to wipe out the disease that had killed and paralyzed for 5000 years. Clarkston Rotary enthusiastically joined in the battle. Since 1985, more than two billion children have received the oral polio vaccine. Reported polio cases have dropped 99.8 %, from 350,000 a year in 1988 to fewer than 2000 a year today. 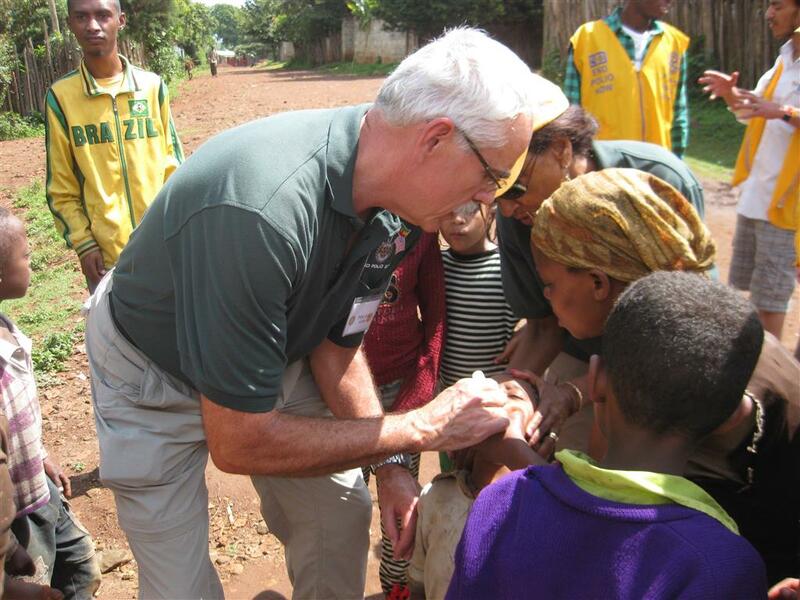 Clarkston Rotarians Mary Sloan and Jeff Lichty participated in the effort by personally delivering the polio drops to children in northern India in 2005. Since 2009, the Bill and Melinda Gates Foundation has awarded $355 million to Rotary International in the global effort to eradicate polio, issuing the challenge that Rotarians worldwide would raise $200 million by June 2012. 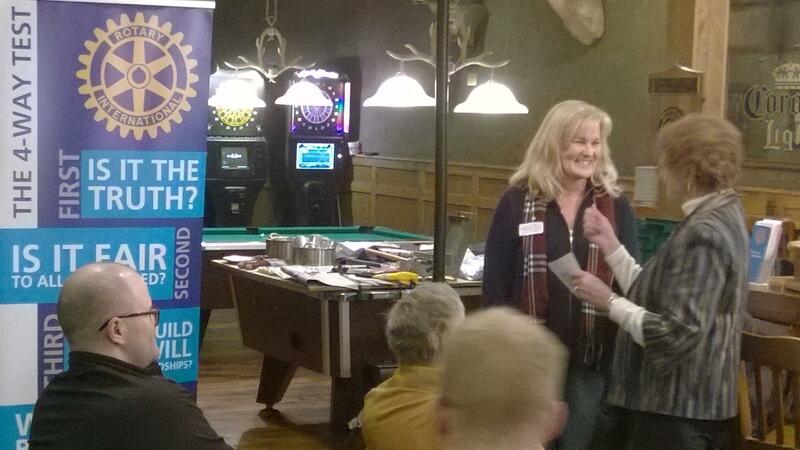 That goal has been reached, and Clarkston Rotarians celebrated on Monday with a cake and a talk from District polio co-chair Virginia Barrons. The fight is not over. Polio is still endemic in four countries; India, Pakistan, Nigeria and Afghanistan, although India just completed its first year without a new case reported. We can’t quit until the job is done and no new cases have been reported in the world for three years. We have completed this round of funding, but the fight goes on and fundraising must continue. As long as polio threatens even one child anywhere in the world, children everywhere, including the United States, remain at risk. The stakes are that high. Ex Cox joined Clarkston Rotarians and other community volunteers to make it a very special day. 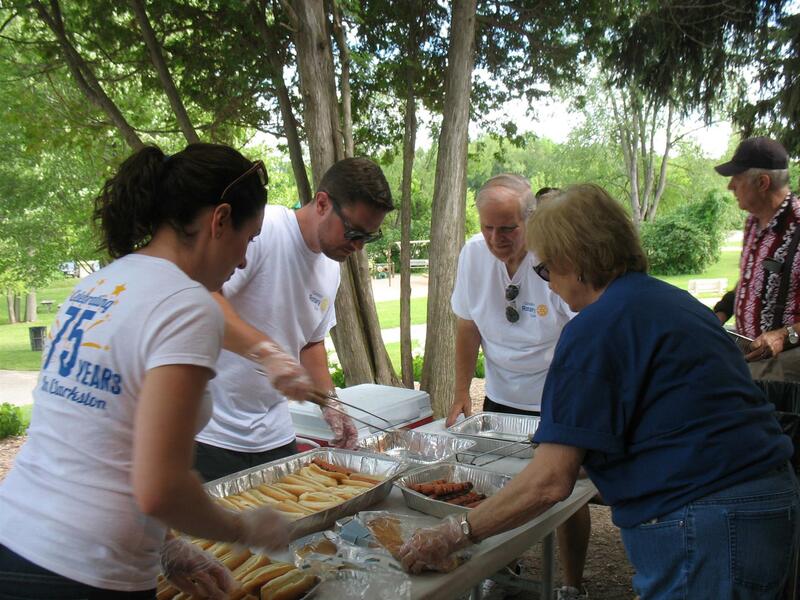 Every year, Rotary's first activity is the picnic for attendees of SCAMP and their families. John Shinsky speaks to Rotary. Watch his story! that the original idea for a Clarkston Historical Museum came from the Clarkston Rotary Club? And that the museum was a joint venture between Clarkston Rotary and the Clarkston Historical Society? 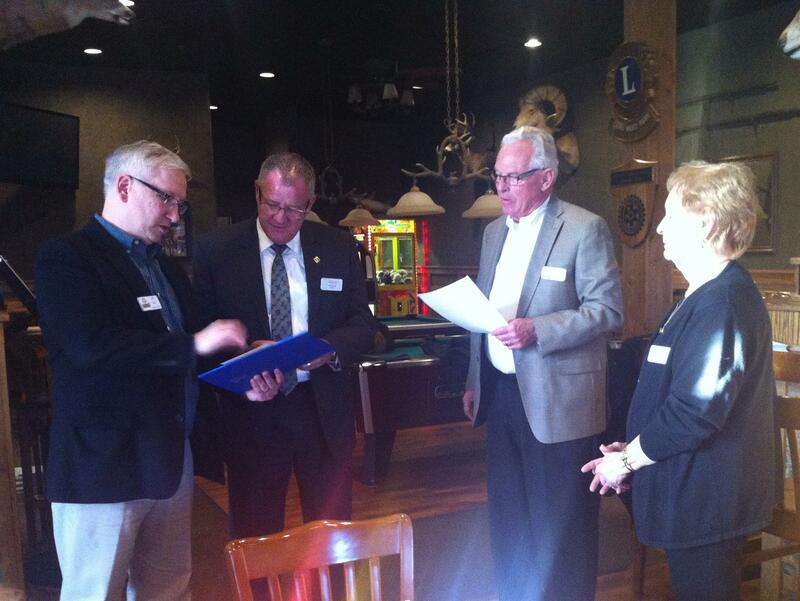 On Monday, April 6, our newest Rotarian was welcomed into the club by President Bart and Rotarian John Halleran. 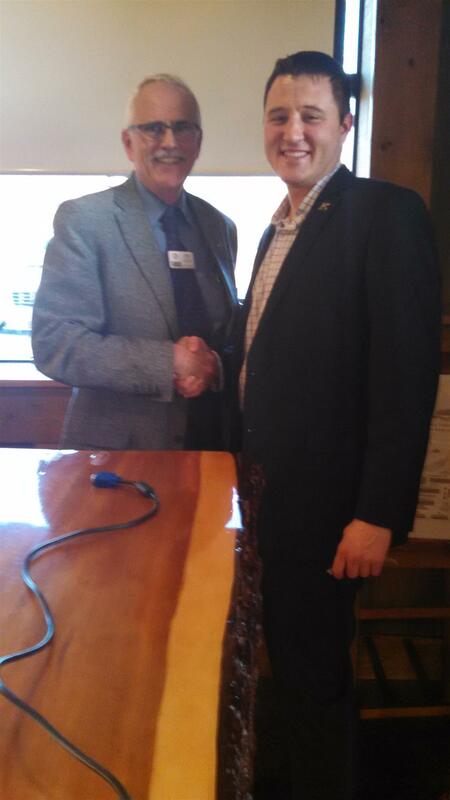 Welcome,local businessman, Buck Kopietz!! Rotarian Larry and Rudolph attest to the fact that this year's wine party was a success! If you missed this one, don't let the next one get past you.